Heavenly fruity yet dry, with notes of cocoa beans from Madagascar that were crushed and roasted by our friends and craft chocolate makers at Omnom. 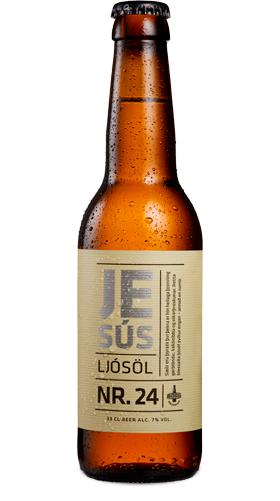 Jesús is oak matured, giving it a truly praiseworthy depth of character. Ingredients: Pure Icelandic water, malted barley, malted rye, malted wheat, hops, oats and yeast.